Film Washi founder Lomig Perrotin has unveiled the new packaging for his range of hand-coated films. 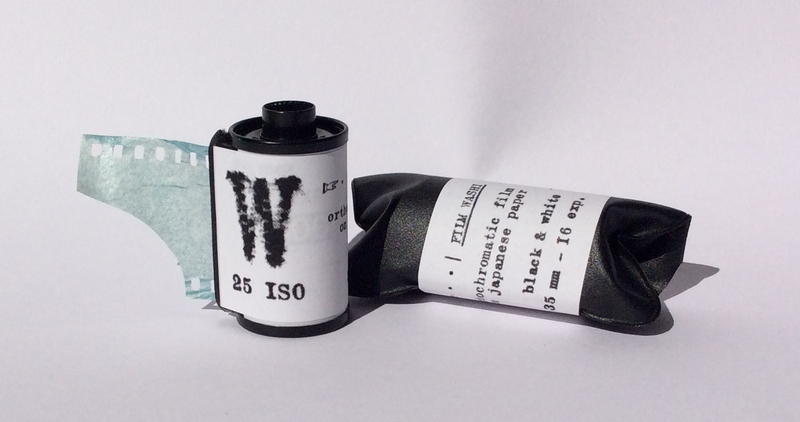 Film Washi, based in Saint-Nazaire in France, is the world’s smallest independent producer of black-and-white films. It began life in 2013, with Perrotin releasing W, a black-and-white handcrafted film hand-coated on a traditional Japanese paper known as Washi. Having just celebrated its fifth anniversary, Film Washi now makes some 10,000 rolls of film a year and has a range of eight different films. In an exclusive interview, Perrrotin told Kosmo Foto about reasons behind this packaging upgrade. “Back in 2013 when I launched Film Washi with only the W-120 film, I remember spending evening watching television and wrapping my rolls in Manila paper with home-made flour-based glue (see attached pictures). At the time I was producing around like 50 rolls per month but slowly the demand for my films grew bigger and the paper & glue option become not possible anymore. “Then, while discussing with my supplier of plastic black bags for sheet-films, I find out he could provide me custom small black pouch to package both 120 & 135 films, this was a huge step and I am still using these for my range of handcoated films. Meanwhile I get direct contact with classic 135 black plastic boxes manufacturer and begin to use it for my specialty films. “This is a very good option regarding the workflow I now have (I made 10,000 films in 2018), but I felt that was making my films looks like regular films which they are not. 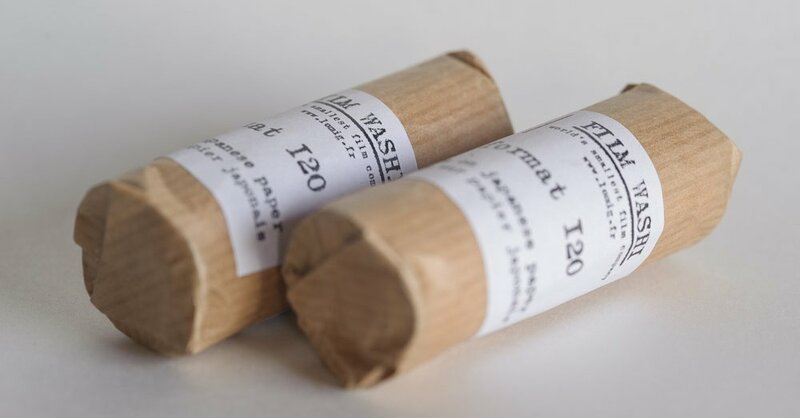 Special films need special packaging and I want my customers to be proud to show off their Film Washi. “This was also the occasion to work on the labels… believe it or not but since I launched Film Washi all my labels was printed by myself with my laser printer… definitely not the best option for workflow! But as I started Film Washi in a closet, everything then was new and it was hard to predict how many films I will produce and I was afraid to order thousands of labels that would not be used. I was a bit over cautious, I must admit that. “So, almost six years later I can say that the production is stable so I decided to make almost all of my labels by a specialist printer and seize the occasion to make a better looking design. 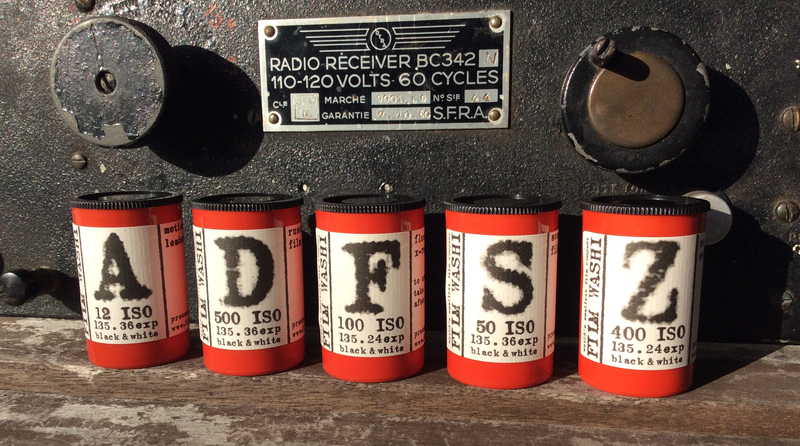 “For a while you will see old versions of my films in the shops, but since last week, all specialty films (Films A, D, S, F & Z) are packaged with new material and I am really happy with the results, both for product quality and workflow improvement. Film Washi’s films are available across the world from a variety of specialist photographic stores and online distributors – contact Film Washi for details of a dealer near you.